We use over a trillion plastic bags every year, and it's a problem. Scientists have discovered that wax worms can eat and biodegrade polyethylene, the rugged, common plastic used to make the shopping bags that are currently glutting landfill sites. The discovery was serendipitous. In an attempt to remove the pesky parasites from her honeycombs, an amateur beekeeper placed the worms into shopping bags, only to find that they’d begun to eat their way out. Fortunately, that amateur beekeeper is a professional scientist: Federica Bertocchini of the Institute of Biomedicine and Biotechnology of Cantabria (IBBTEC) in Spain. Bertocchini teamed up with colleagues Christopher Howe and Paolo Bombelli from the Department of Biochemistry at the University of Cambridge to conduct a timed experiment based on her observations. The researchers exposed a plastic shopping bag from a supermarket in the U.K. to approximately 100 wax worms. After 40 minutes, holes began to appear in the bag, and after 12 hours, the scientists observed a 92mg reduction in plastic mass. Though unexpected, this isn’t entirely surprising, as the composition of the bags isn’t that different from the worms’ natural food source, beeswax. 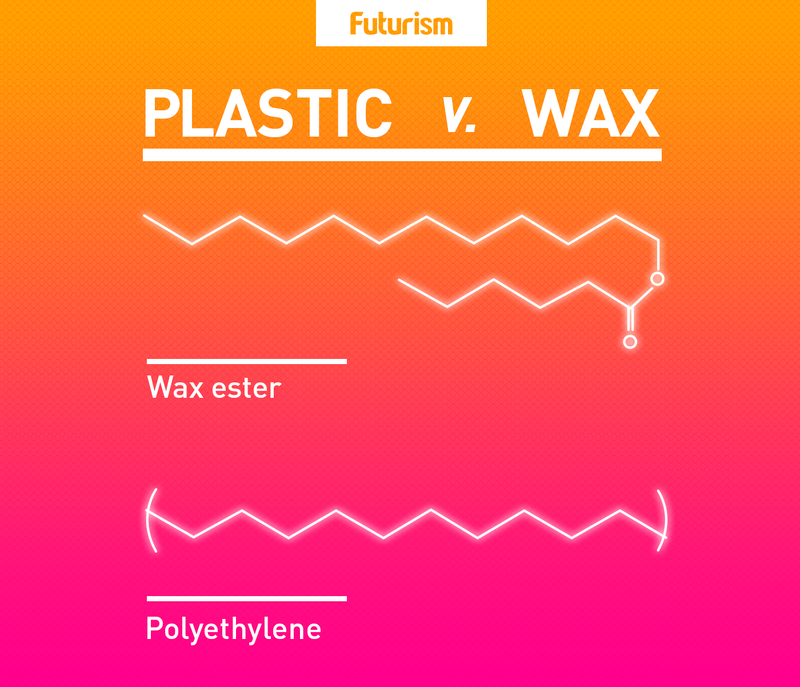 “Wax is a polymer, a sort of ‘natural plastic,’ and has a chemical structure not dissimilar to polyethylene,” said Bertocchini in a University of Cambridge news release. The researchers proved that the chemical bonds in the plastic were breaking via spectroscopic analysis. They observed un-bonded “monomer” molecules, the result of the worms biodegrading the polyethylene into ethylene glycol. This was more than a chewing action because smearing mashed-up worms onto bags had the same effect. “If a single enzyme is responsible for this chemical process, its reproduction on a large scale using biotechnological methods should be achievable,” according to Bombelli. Compared to other recent discoveries, the worms’ rate of degradation is extremely fast. For example, in 2016, scientists reported that a strain of bacteria called PET could biodegrade some plastics, but it did so at a rate of only 0.13mg a day. Humans create approximately 78 million tons of plastic from packaging alone in a single year, and 32 percent of it ends up in the waters of the planet — that’s about one garbage truck of plastic every minute. Plastic cups, bags, and cutlery have all been banned in Delhi, India, and all of France will follow suit starting in 2020. Almost 75 percent of beaches in the U.K. are covered with “nurdles,” tiny plastic beads that are used in the manufacturing of larger plastic goods. These beads are harmful to wildlife and release toxic chemicals as they slowly degrade. The Earth’s oceans contain 269,000 tons of plastic. That’s about 5.25 trillion pieces that are destroying ecosystems around the world. 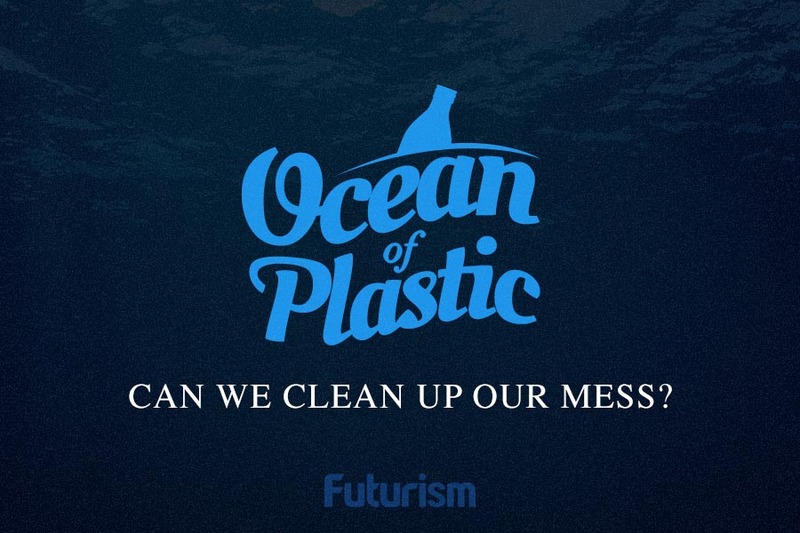 In fact, experts estimate that there will be more plastic than fish in the world’s oceans by 2050. Polyethylene, in particular, is mostly used in packaging, which means almost all of it ends up in landfills. Globally, about a trillion plastic bags are used every single year. As the research team working with wax worms unravels the molecular details of the biodegradation process, they hope to devise an industrial-scale biotechnological solution for managing polyethylene waste. The other part of the solution is also clear: decreased demand for polyethylene will result in less waste. We need to find better solutions for packaging and make smarter choices as consumers.